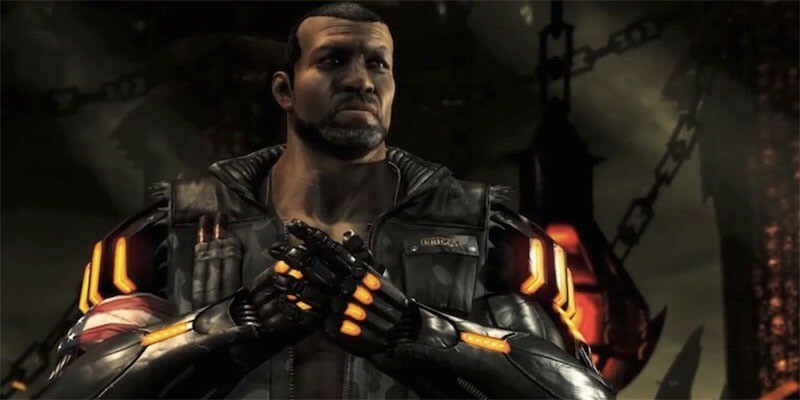 I’m probably getting as tired of writing about Mortal Kombat X as you are about hearing it – but that’s just the way it goes right now, with NetherRealm’s insistence on trickling out news, character reveals and features just about every day. The slow dripping tap on Mortal Kombat news should soon be closed, with the game being released in less than two weeks. The latest trailer introduces the Briggs family; Jackson (That’s Jax to you) and his daughter Jacqueline – along with their bone-breaking antics. The one bit that stands out? 28 seconds in, when Jax rips out his enemy’s ribs and then stabs the dude in the face with them. That’s egregious, gratuitous and completely unnecessary. I’m really starting to think NetherRealm is run by an office full of completely deranged, blood-hungry psychopaths. The over-the-top, wanton violence does, as I’ve said numerous times, detract from the game itself, which looks pretty damned amazing. The astute among you may notice that according to the trailer, we’ll be seeing the game on April 17th instead of the originally schedule release date of April 14th – but we’ve spoken to local Warner Bros Entertainment representatives, and they assure us we’re still on track for the global release date – so you needn’t worry about getting your Mortal Kombat on a few days later than you’d planned. Yesterday, NetherRealm also officially confirmed the contents on the game’s DLC packs – which we told you about ages ago.